In support of the Department of Defense’s effort to increase awareness of traumatic brain injury (TBI), the Center for the Study of Traumatic Stress will distribute information and resources to educate and support the community on issues of TBI. This document is an ongoing continuous summary of Army STARRS and STARRS-LS publications. 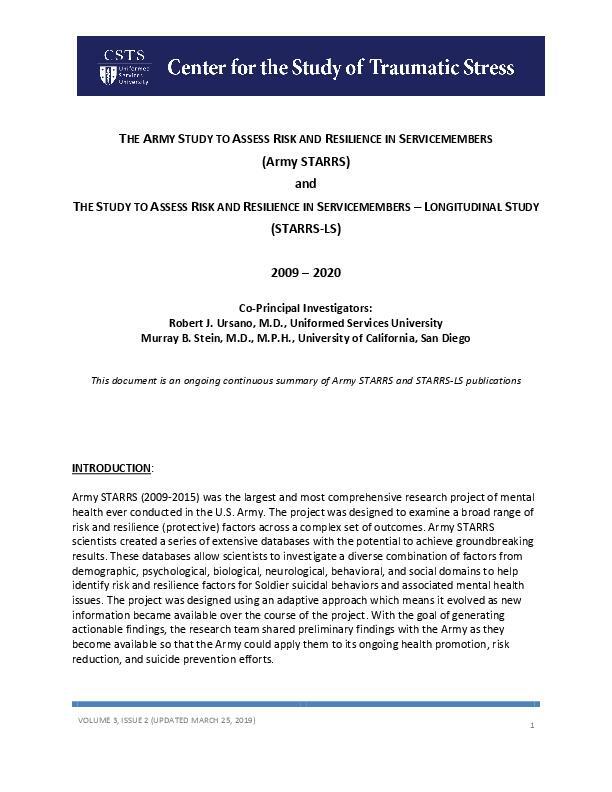 Army STARRS (2009-2015) was the largest and most comprehensive research project of mental health among U.S. Army Soldiers ever conducted. 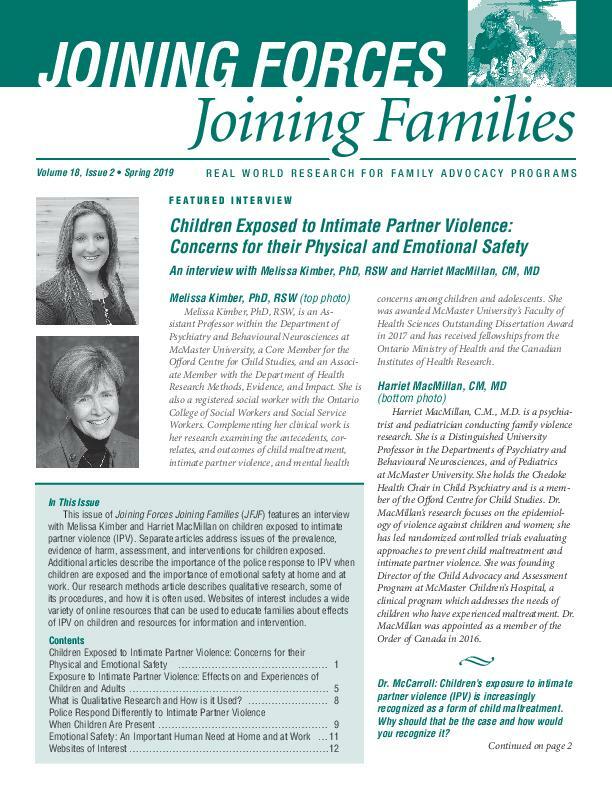 The project was designed to examine a broad range of risk and resilience (protective) factors across a complex set of outcomes including suicidal behaviors and associated mental health issues. Army STARRS scientists created a series of large and extensive databases with the potential to achieve groundbreaking results. These databases allow scientists to investigate a diverse combination of factors from demographic, psychological, biological, neurological, behavioral, and social domains with the goal of generating actionable findings for the Army. The project was designed using an adaptive approach which means it evolved as new information became available over the course of the project. The research team shared preliminary findings, as they became available, with senior Army leadership so the Army could apply them to its ongoing health promotion, risk reduction, and suicide prevention efforts. The work is continuing under the STARRS Longitudinal Study (STARRS-LS) which runs from 2015 to 2020. 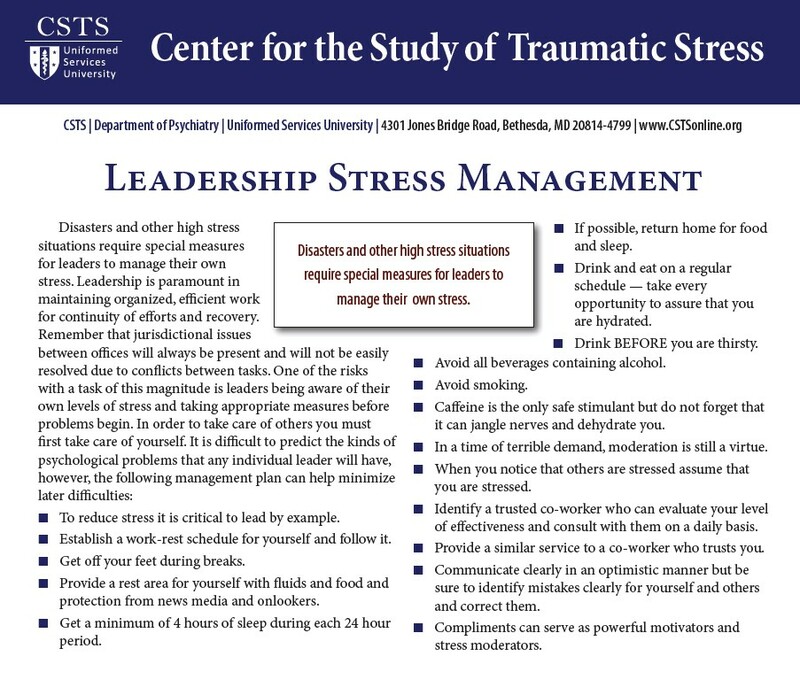 Ms. Patricia Barron, Director of Family Readiness at the Association of the United States Army interviews Dr. Stephen Cozza, Associate Director of the Center for the Study of Traumatic Stress (CSTS) and Director of the Child and Family Program at CSTS. 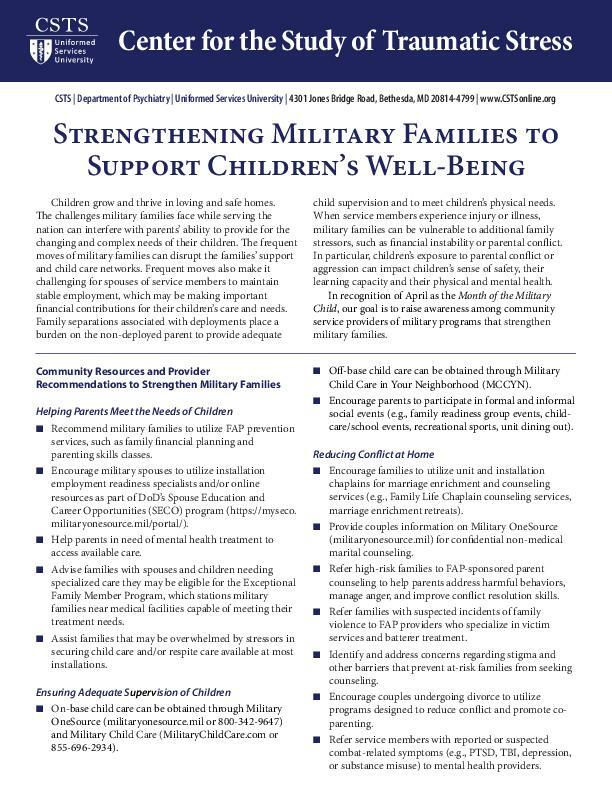 Dr. Cozza's interview focuses on supporting the needs of military children and families and includes an overview of CSTS's Stepping Forward in Grief study.